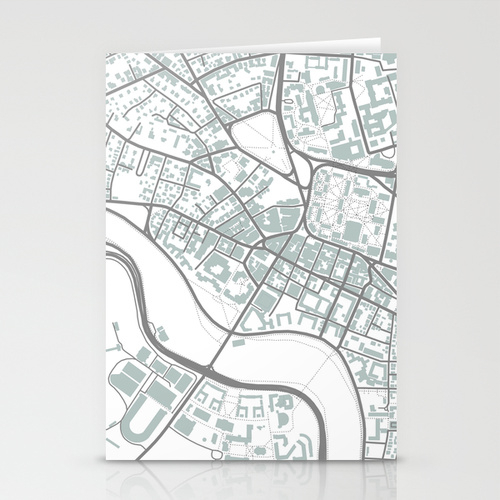 cityette - ABC Boston: New Harvard Square cards on the Etsy shop! New Harvard Square cards on the Etsy shop! Designed (by a Harvard alum) to complement our *coming-soon-to-the-shop* Harvard Square terrain lines grey and seaglass green map throw pillow, this gorgeous 5x7 greeting card showcases downtown Harvard Square in Cambridge, Massachusetts - including Harvard Yard, Harvard Stadium, Harvard T stop, and more. Also includes portions of the Charles River, where the famous Head of the Charles takes place each fall. Map is designed using the maps.stamen.com website. 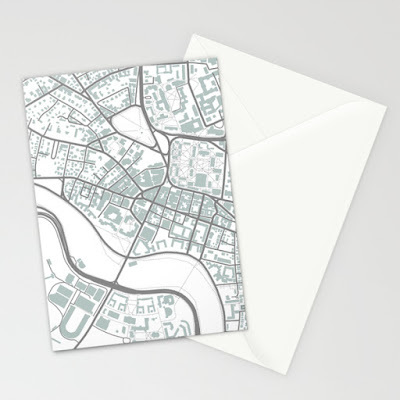 The map design is printed professionally onto cardstock by Shutterfly and includes one blank envelope. Pretty enough to frame or stick up on your bulletin board for years to come. You'll enjoy having this on display or sending to a friend who will sincerely appreciate your thoughtfulness!